You train hard and eat well- you work hard for the best physique possible. At some point in your training life you’ll probably wonder how steroids would benefit your body. But are you aware of the risks as well as the benefits? There are a lot of misconceptions about what steroids do and much debate about their use by recreational athletes. 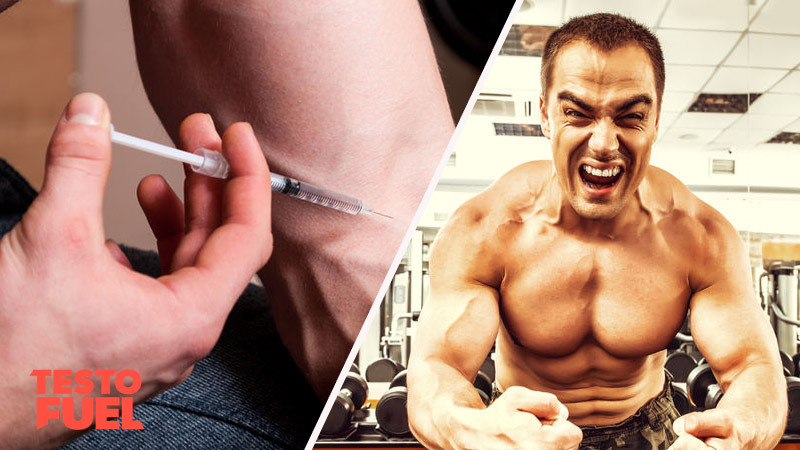 So just how do anabolic steroids work? The first thing to mention here is that steroids means different things to different people – for the purpose of this article we’re not talking about the kind of therapeutic steroids you’d get from the doctor for arthritis or lung issues, we’re talking about the type of steroids that are taken to solely increase performance – the kind used by athletes and bodybuilders. Steroids are often taken to increase size, strength and power, as well as to boost endurance and energy. There are lots of different types of anabolic steroids available, but the main three are testosterone, dihydrotestosterone (DHT) and nandrolone. There are also a large number of brands that produce each type of AAS as well. Anabolic steroids exert their effects on many parts of the body, including reproductive tissues, muscle and bone, as well as the immune and central nervous systems dependent on type and action . According to a review paper in high ranking journal Sports Medicine , AAS are not just prevalent among athletes but also many amateur and recreational athletes- it has been established that use among athletes in gyms is extensive. There are a number of different mechanisms that have been demonstrated to explain the action of AAS – many of them are extremely complicated and still require additional research. All you need to know is that receptors ‘soak up’ the extra AAS by allowing them to pass through the membrane of a target cell and bind to an androgen receptor located in the fluid of that cell. From there the cell nucleus receives a message to alter its processes - and then the effect takes place. The general androgenic effects of AAS are generally considered as those associated with masculinity as well as protein building in skeletal muscle and bone. Therefore, steroids work by stimulating receptors in muscle cells, which in turn activate genes to produce proteins- they also affect enzymes involved in protein synthesis –  this equals more muscle and strength. According to a Sports Medicine academic review article  it seems redundant to mention that abuse of AAS may affect health status. A study in the European Heart Journal  suggested that prolonged use of anabolic steroids leads to increased peripheral vascular resistance, and cardiac hypertrophy, together with decreased contractility of the heart– basically poor vascular health and enlarged but weak heart walls. As AAS derive from testosterone they form part of an important feedback loop between the brain and the testes. As such, a very common side effect is reduced levels of testosterone – essentially the body sees no need to produce any seeing as though you are already providing it externally. Decreases can be seen in as little as 24 hours  and may ultimately result in smaller testes and reduced fertility. There are a large number of case studies highlighting a range of alterations to psychological well being, including schizophrenia, steroid dependence, and psychosis and homicidal tendencies. There are also many incidences of aggression, depression and suicidal tendencies that appear to be dose dependent. 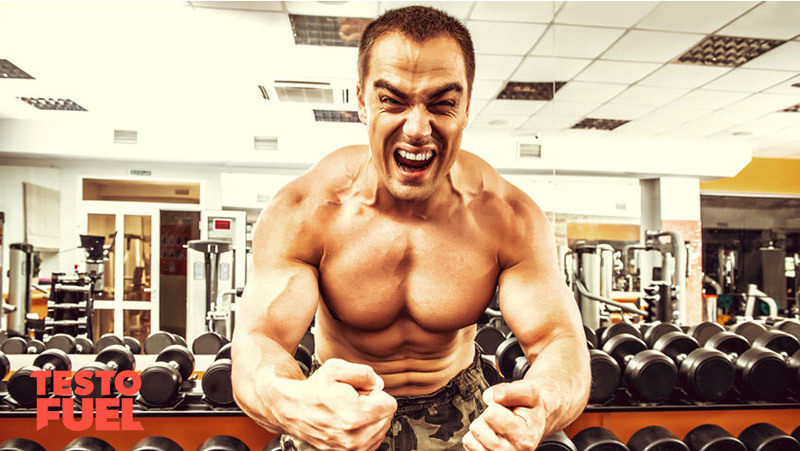 For example, a study by Kouri et al  found that by increasing the dose of Testosterone from 150mg for two weeks, then to 300mg and 600mg for two weeks, aggressive responding behavior increased. Although not as serious as the previously mentioned conditions, anabolic steroid use can enlarge the sebaceous glands as well as production – these are tiny glands located in the skin which secrete a lubricating oily matter that can cause severe acne. Key Point: There are a large number of very severe side effects that can occur through anabolic steroid use. Anabolic steroids are controlled substances in many countries- this includes the US, UK and Canada. However, as they can be sold legally in many other countries without prescription, you’ll find a reasonably large number of websites selling AASs online without violating the laws of their own country. With regards to athletic performance, anabolic steroids have been banned on the International Olympic Committee (IOC) Medical Commission list since 1974. Additionally, the World Anti-Doping Agency (WADA) was set up in 1999 as an independent body to conduct key scientific research, education, development of anti-doping capacities, and monitoring of the World Anti Doping Code . Final word – How do Anabolic Steroids work? There is a lot of misconception about what steroids do, how they work and the potential issues with their use. Steroids, or Anabolic-androgenic steroids (AAS), are synthetic versions of the naturally occurring male hormones called androgens, and as such they provide boosts to strength, muscle mass, and masculine traits. 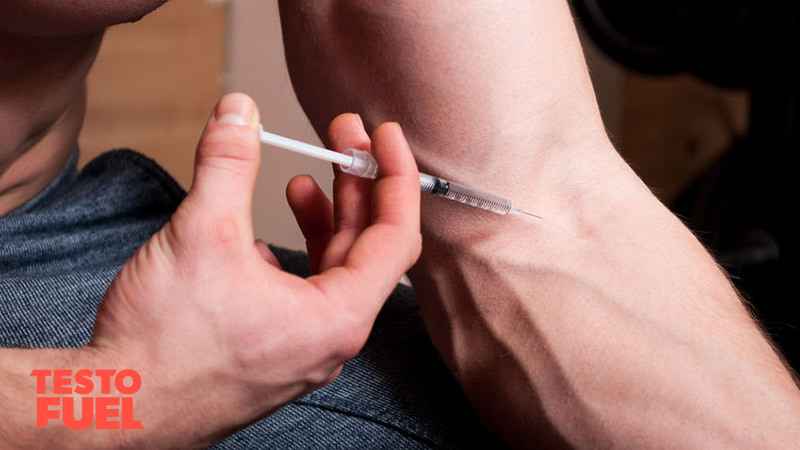 There are a number of side effects reported from taking anabolic steroids including cardiovascular issues, changes to mood and psychology and reproductive issues. There are also a number of cosmetic side effects that can occur such as acne and hair growth. When it comes to boosting your testosterone levels naturally, TestoFuel is one of the best options on the market. Kicman, AT et al. Pharmacology of anabolic steroids. Br J Pharmacol. 2008 Jun; 154(3): 502–521. Fahey, TD et al. Anabolic-androgenic steroids: mechanism of action and effects on performance. Encyclopedia of Sports Medicine and Science. 1998; Internet Society for Sport Science: http://sportsci.org. 7 March 1998. Kouri, EM et al. Increased aggressive responding in male volunteers following the administration of gradually increasing doses of testosterone cypionate. Drug Alcohol Depend. 1995 Nov;40(1):73-9.